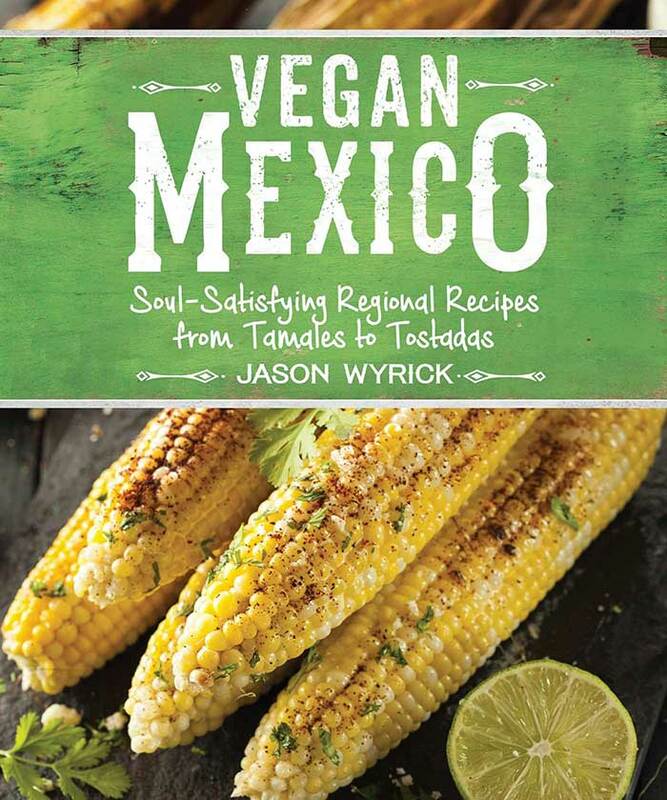 Vegan Mexico by Jason Wyrick picks up right where he left off in his first book, Vegan Tacos. 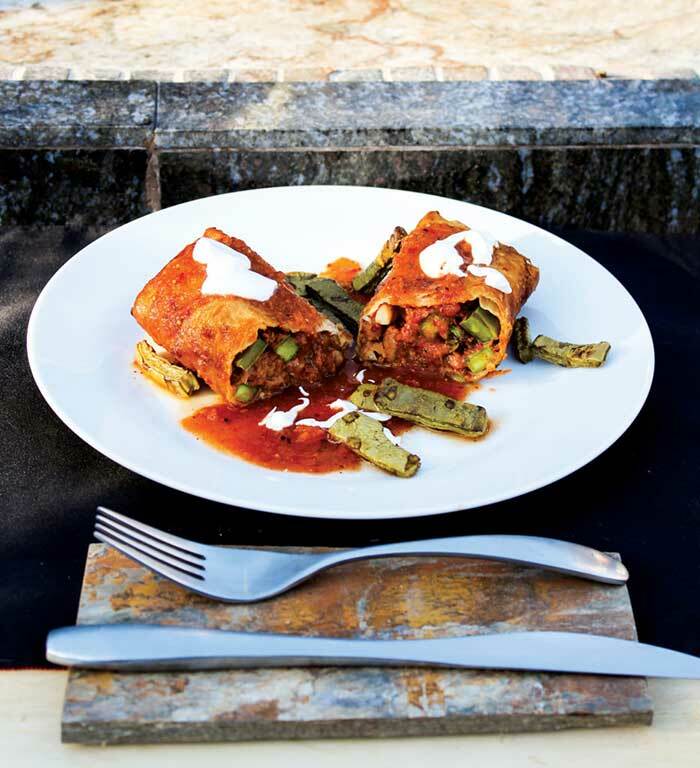 I loved these Vegan Chimichangas that I’m sharing with you today. 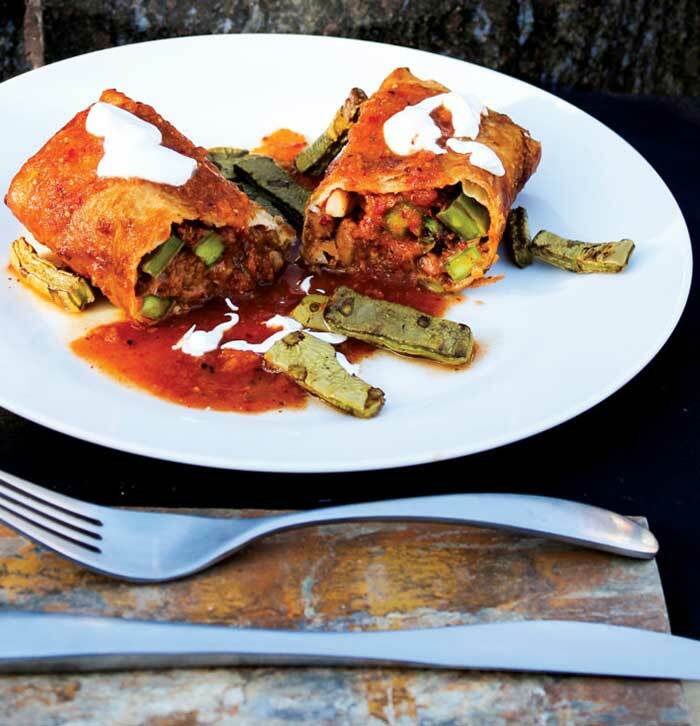 There are some new tacos, but this book goes far beyond a few mix and match recipes. You get info on Mexico, basic ingredients, techniques, and all kinds of staples like tortillas, beans, and homemade chili powder. This book has a little of everything including homemade salsas, empanadas, gorditas, ceviche, Mexican sandwiches like tortas and tamales. You’ll expand your Mexican menu into salads like watermelon, jicama, pozole, chilaquiles, mole, grilled veggies with a homemade chile rub, breads, drinks and even sweets. I think this is a must have book if you love Mexican cuisine as much as I do. Along the left side of a tortilla, spread ¼ cup of the Refried Beans, leaving about 2 inches uncovered on both the bottom and top of the tortilla. Place ¼ cup of the seitan or portobello on top of the beans, followed by 2 to 3 tablespoons of cactus. Roll the tortilla closed about halfway. Fold the top and bottom of the tortilla inward, then tightly roll the rest of the tortilla closed, tucking the top and bottom folds into the tortilla as you roll it, making a burrito. Repeat this with the remainder of the filling and tortillas. « Vegan Food Gifts: Minty Doggie Biscuits Make Great Holiday Presents! What are the odd green things on the plate with the chimichanga? Since it’s from a book I’m not positive, but it could be nopales, or edible cactus. thats nopales on the plate !